End the summer with a new career! 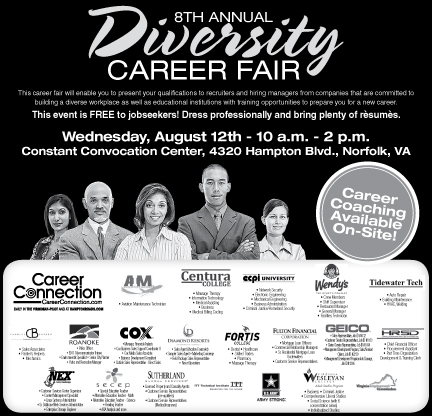 Embracing the importance of diversity in the workplace, CareerConnection will host its 9th Annual Diversity Career Fair. Bring your resume and dress for success to meet some of the area's top employers.